For today, a fun little poem written for children. (But we think anyone can enjoy it!) It's by Gerda Rovetch. There was a man who loved to bake. Sometimes his bread contained a snake. Sometimes the snake was not quite dead. Most people did not like his bread. This poem can be found in the book There Was a Man Who Loved a Rat, published by Philomel Books in 2008. This poem can be found in the book The Collected Poems of Theodore Roethke, published by Anchor Books in 1974.
not one of us inside can hear. This poem is from the book, Winter Morning Walks: one hundred postcards to Jim Harrison, published by Carnegie-Mellon University Press in 2000. Chris S. thinks that Charles Bukowski wrote sad and hilarious poetry for the lower class, for the broke and depressed, for the drunk and lonely. This poem can be found in Pleasures of the Damned, published by Harper Collins in 2007. Mariana's favorite poem is "The Jabberwocky" by Lewis Carroll. An illustrated edition of this poem, which reimagines the Jabberwocky as a very tall basketball player, was published by Harper Collins in 2007 and can be found here. The poet Jane Kenyon wrote so many wonderful poems. Here is one of our favorites. This poem is from Otherwise: New And Selected Poems, published by Graywolf Press in 1996. The poem is also available in Collected Poems, published in paperback by Graywolf Press in 2007. One of Mary Ann's favorite poems is by Billy Collins entitled The Lanyard. This poem can be found in The Trouble with Poetry: And Other Poems published in paperback by Random House in 2007. This poem by Alfred Lord Tennyson is one of Ryan's favorites for such a long time. It showcases bravery and heroism, but also the futility that can be found in war. This poem appears in the book Alfred Lord Tennyson: Selected Poems published by Penguin books in 2008. He'd turned twenty-nine the month before. he wanted to look at some coloured handkerchiefs. a moment's meeting of limb against limb. wouldn't realize what was going on. This poem can be found in The Canon, The Original One Hundred and Fifty-four Poems recently published by Harvard University Press in 2007. This poem can be found in the collection The Essential Haiku, edited by Robert Haas and published by Ecco in 1994. This poem is from the book The Way It Is: New and Selected Poems, published by Graywolf Press in 1999. Buy the book here. This poem is by Donald Hall, former Poet Laureate of the United States. Joe considers this poem one of his masterpieces. The poem is about the death of his wife, poet Jane Kenyon. Another excellent book is The Best Day, The Worst Day, which is a memoir of their lives, written by Donald Hall. This poem is from the book Without published by Mariner Books in 1999. And I answer to his bell. I have all a dragon needs. Deep within my dragon heart. And my master treats me well. This poem is by Jack Prelutsky, and can be found in the book The Dragons Are Singing Tonight, published by Greenwillow Books in 1993. You may purchase it here. Hank isn't sure if this poem by Mary Oliver is his favorite of all time, but he does think it's awfully good. This poem can be found in American Primitive, which was published by Little, Brown & Company in 1983. It can be purchased here. sad and stealing messengers of grey? everlastingness of, O it is an all youth! This poem can be found in Hopkins: Poems, published by Random house. It can be purchased here. There is an excellent new book of poems by a true American original poet, Frank O'Hara. Here is one of bookseller Joe's favorites. This poem is the new book, Selected Poems, edited by Mark Ford and published by Knopf 2008. It can be purchased here. This poem appears in Thirst published by Beacon Press in 2006. -This poem can be found in Where the Sidewalk Ends, published by Harper Collins. Paste that in yr. Broadway show. This poem can be found in The Portable Jack Kerouac, published by Penguin 2007 here and Penguin in 1996 here. Bookseller Michelle B calls this her favorite poem ever. It's by five year-old poet Veronica Markey. 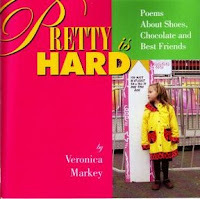 This poem can be found in Pretty is Hard: Poems About Shoes, Chocolate, and Best Friends, published by Arundel Books in 2004. 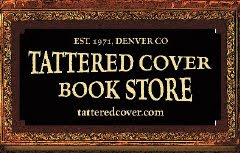 To purchase, email books@tatteredcover.com. This poem was written by Langston Hughes. It can be found in Selected Poems of Langston Hughes, published by Vintage Classics in 1990. It can be purchased here. This poem is by Zbigniew Herbert and can be found in The Collected Poems: 1956-1998, published in 2008 by Ecco. To purchase, click here. Down and out, rolling stone, gun in your pocket. You took me by the hand, took me in hand, you took me. And the tree thick with red berries and the bark and the bark. And we had each other not stopping like hunted beasts. And though all creatures get sad after the act well we're just not any creatures. And we grew from any old garbage and raked through garbage. Pulled from me, pulled from you. This poem is by Russian poet Polina Barskova and is included in the Dalkey Archive Press's Contemporary Russian Poetry: An Anthology edited by Evgeny Bunimovich and published in 2008. To purchase, click here. Bookseller Mindy is fond of this particular Shakespearean sonnet because "it both makes fun of being in love and the courtly love tradition and yet expresses tender love all at at the same time." 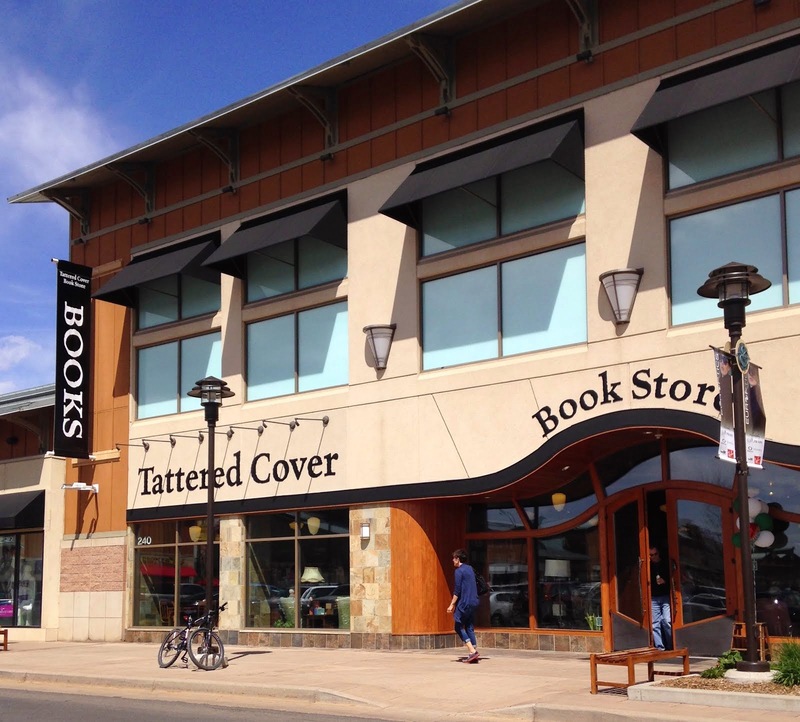 Don't forget the Colorado Shakespeare Festival is arriving soon. From June 20 to August 16, be a part of one of the top three Shakespeare festivals in the nation! It is always great fun. "Sonnet 130" can be found in many books, including Shakespeare's Sonnets and Poems published by Washington Square Press in 2006. To purchase, click here. 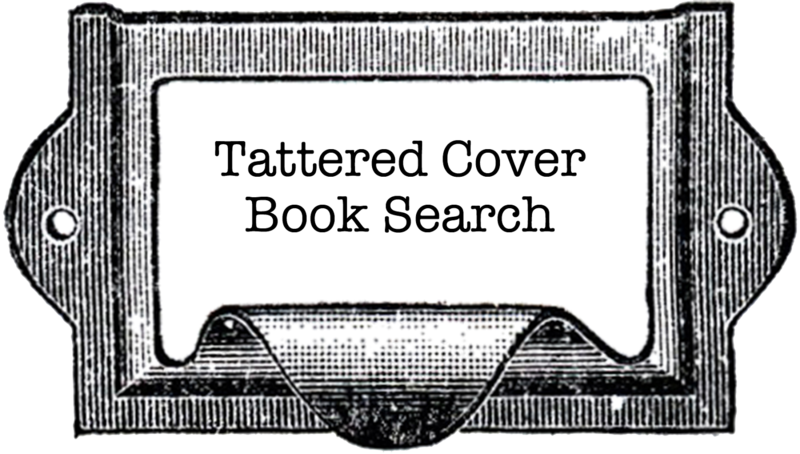 In celebration of National Poetry Month, we asked our staff to tell us their favorite poems. We'll post one a day for the rest of the month! I don't care if everyone has to memorize the damn thing in middle school or it has turned into the perpetual motion-machine of cliches, for my money it's still the best poem ever written. Poe once said that the only thing worth writing about was a lost love. Or in this case, one that hurt so completely that it causes you to be delusional (or was it the opium/absinthe?) Amen! This is also why "Ligeia" is the best short-story ever written, because Poe knows what's up. "Prophet!" said I, "thing of evil! — prophet still, if bird or devil! "The Raven" can be found in many books, including Complete Tales and Poems Edgar Allen Poe published by Vintage Books USA in 1975. To purchase, click here. April is National Poetry Month. It seems that there is not much emphasis placed on my favorite type of poetry, haiku. Haikus are, by their nature, short & sweet. They're little nuggets of poetry. They're easy to remember, and most of all, fun to write. 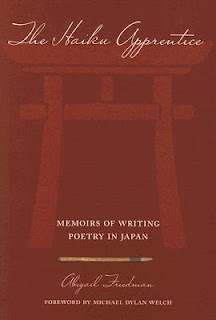 If you haven't read haiku in a while, or ever, let me suggest one of my favorite books on the subject, "The Haiku Apprentice", by Abigail Friedman. Yes, it's a memoir. But it is not your common story: the author has served many years in the United States Foreign Service. While working in Japan, and with little prior experience in poetry, she joins a haiku group. The book is her memoir of falling in love with this type of poetry. In Japan, haiku is very popular: written by many thousands of people, and read by millions. It is most definitely the poetry of a people, and Friedman takes us on a brief history of the craft, and answers many questions about writing haiku in English. At the end of the book, she outlines the steps to take to start your own haiku group. The Narrow Road to the Interior by Basho. If there is required reading in haiku, this book is it. Written in the 17th century, it is a combination of travel journal and haiku. Haiku: This Other World by Richard Wright. The author of "Native Son" was an avid haiku writer. His poems capture life in Chicago, full of its joy and pathos. Book of Haikus by Jack Kerouac. Kerouac wrote beautiful haiku. Some of my favorite of his writing.